Prime parking spot conveys! 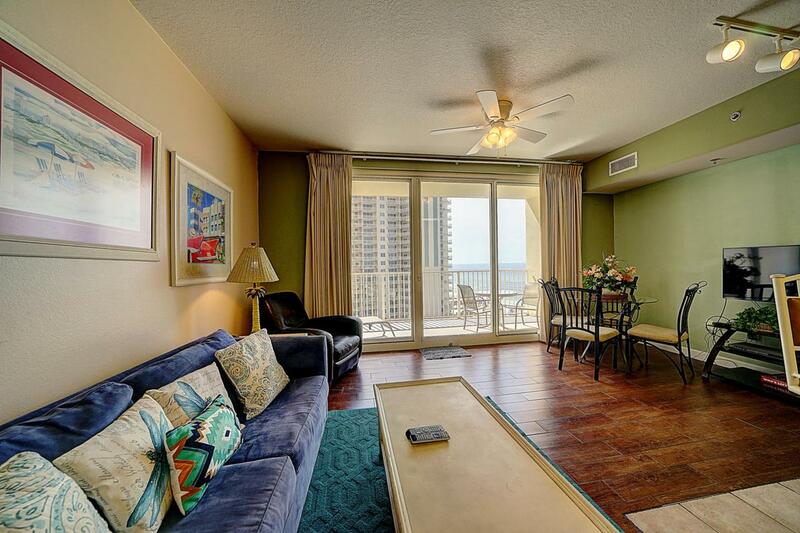 This unit features Gulf views from the living room and balcony! It has one bedroom with a bathroom on suite, a bunk room, and second full bathroom. With the pull out sofa, it will comfortably sleep six. The unit is tiled- main areas and bedroom have ceramic plank tile. 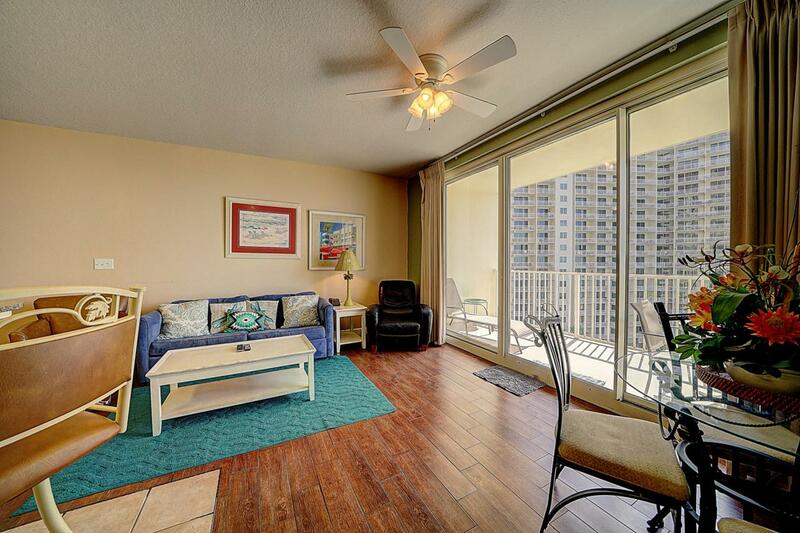 This condo conveys with parking space #912, a real big bonus! The setting is tropical elegance and leisurely style. The three million dollar pool area includes a 13,966 sq. 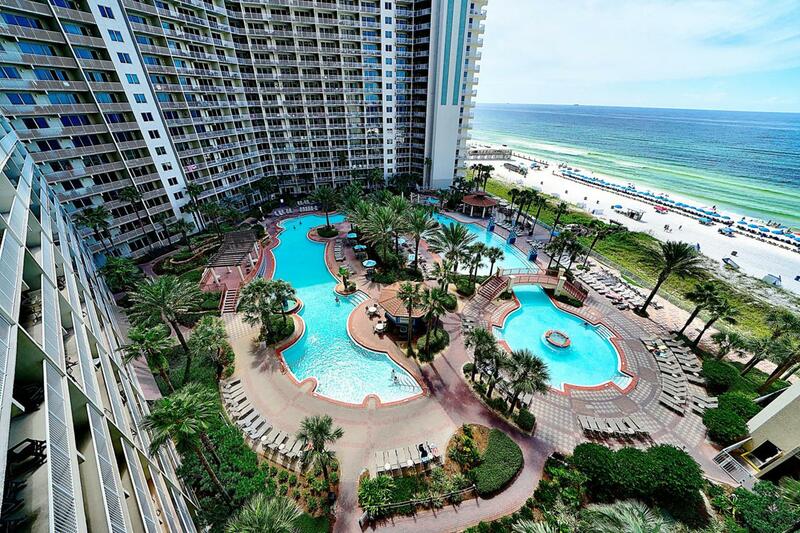 ft. Gulf side pool, fountains, Gulf side hot tub, waterfalls, tiki bars, exotic tropical landscaping, large indoor heated pool, on site spa, sauna & steam room and fitness center. 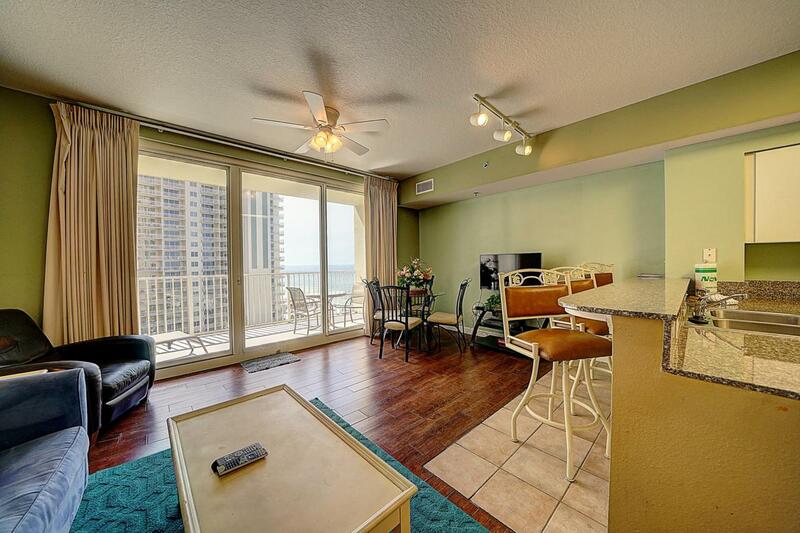 There is a concierge service, beach activities and rental services.